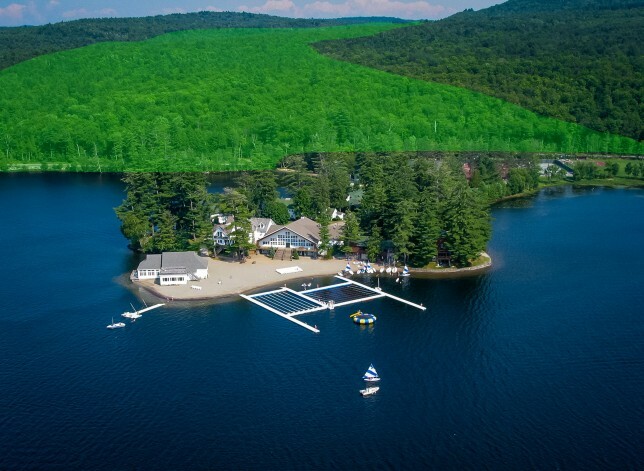 Point O’Pines Camp for Girls is very excited to announce that we have been able to work with our neighbors over the winter to acquire an additional 100 acres adjacent to camp with about 1000 feet of additional shoreline of Brant Lake. We will now be able to enjoy this gorgeous wooded area, and, more importantly, we and our community will also benefit by ensuring that these woods continue to be attractive and a great complement to our camp and the beauty of Brant Lake. Our family has taken many hikes in these woods over the past few months and they are truly spectacular! The new property is illustrated below in green.